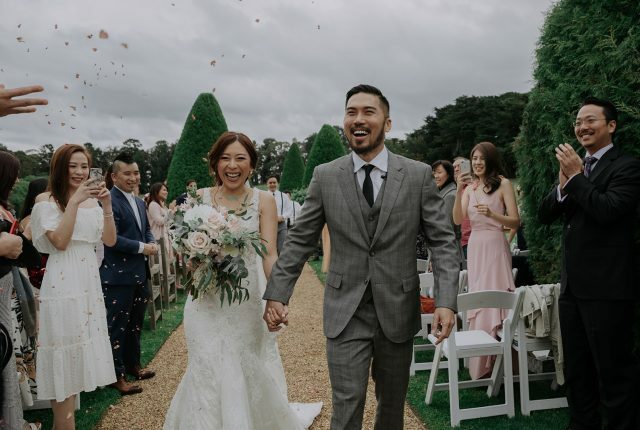 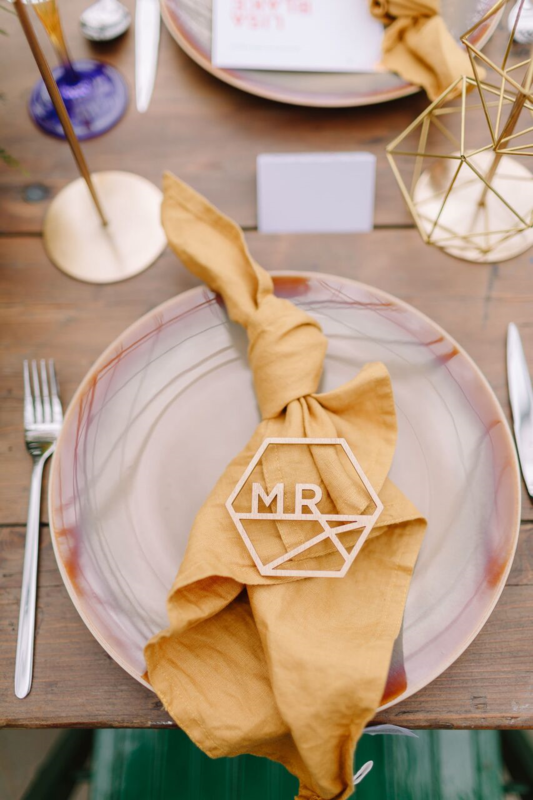 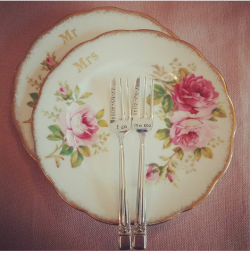 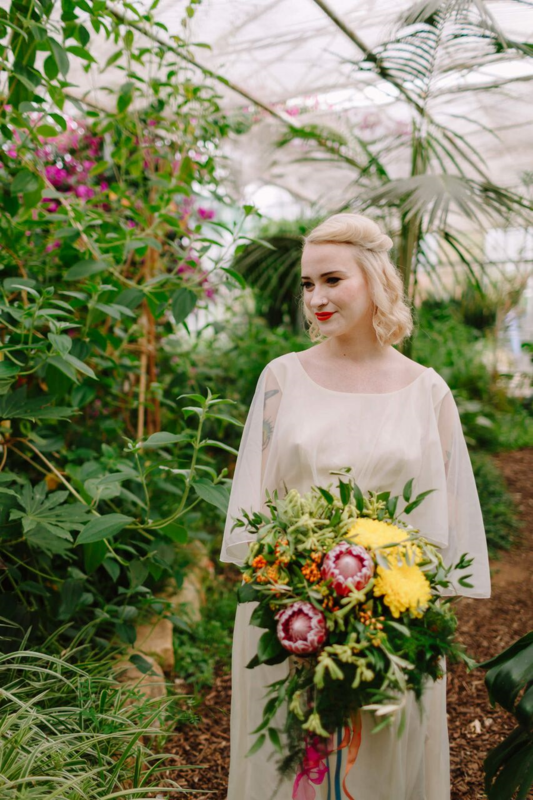 A modern vintage wedding vibe is displayed beautifully in todays inspirational blog. 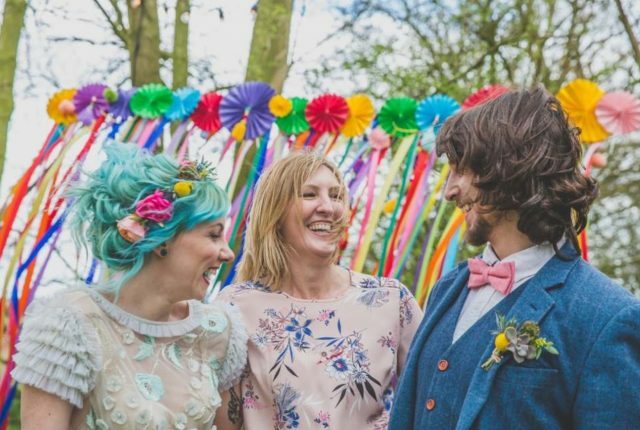 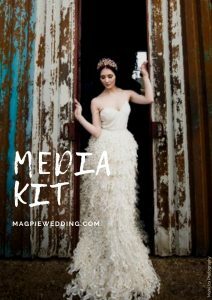 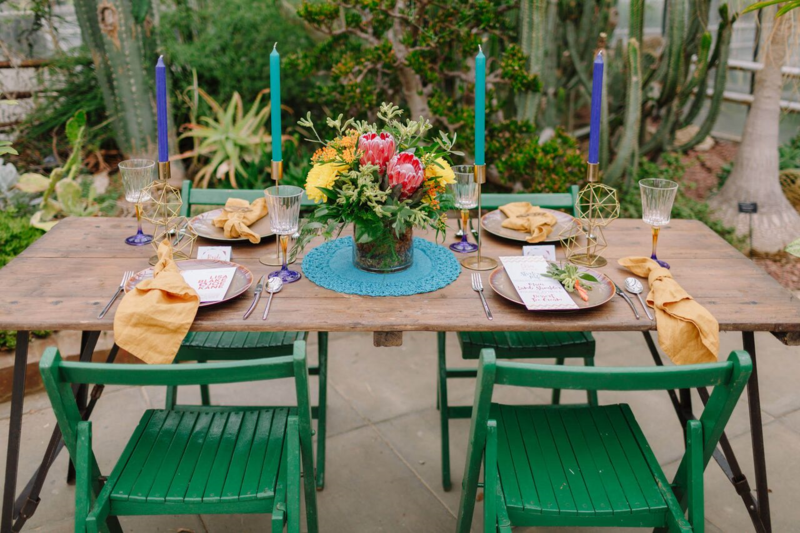 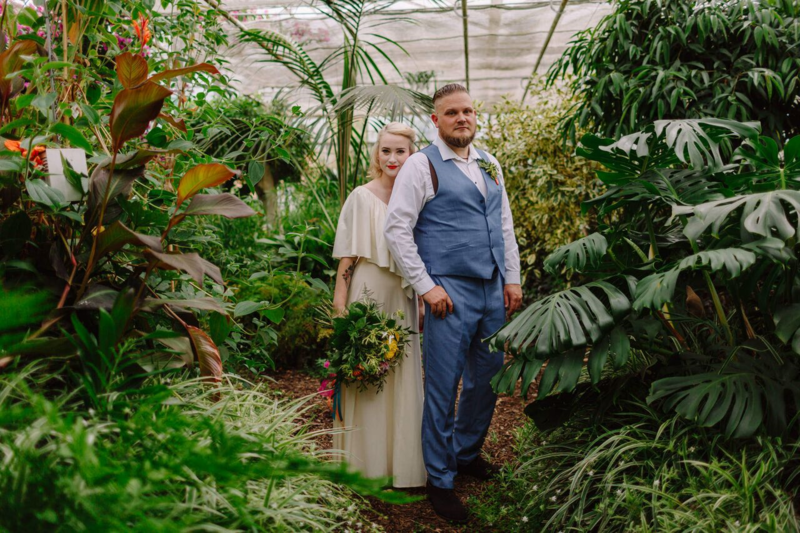 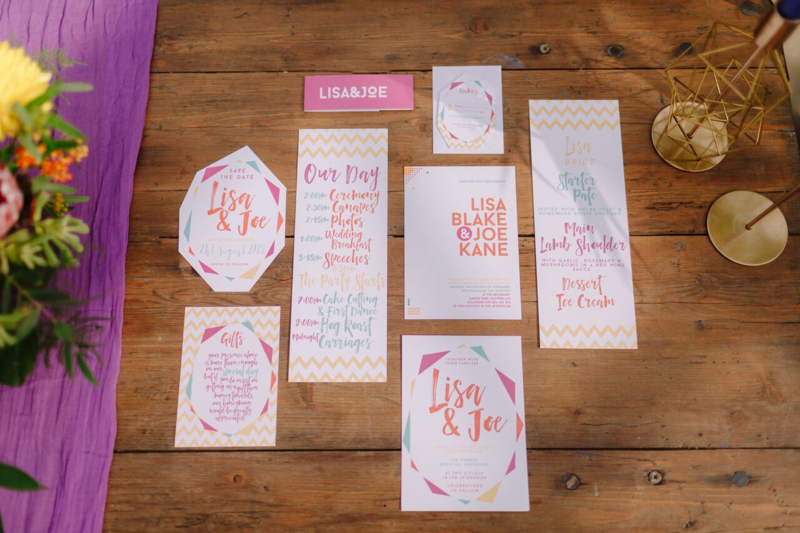 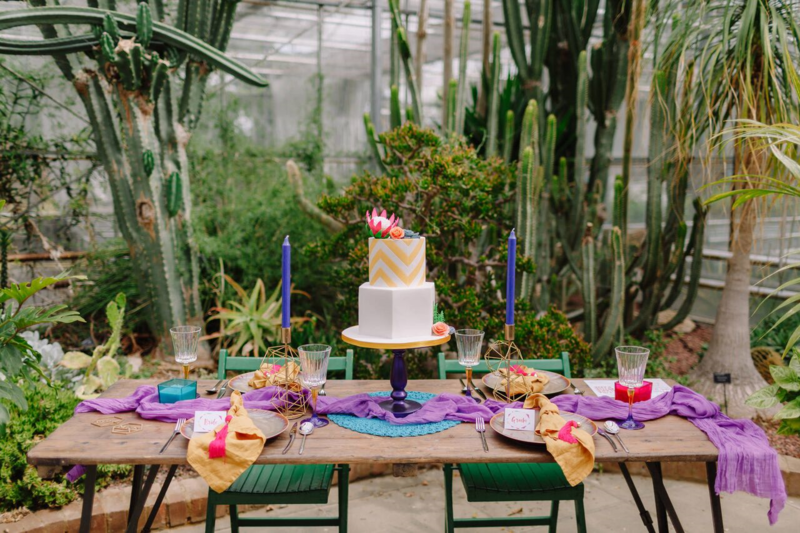 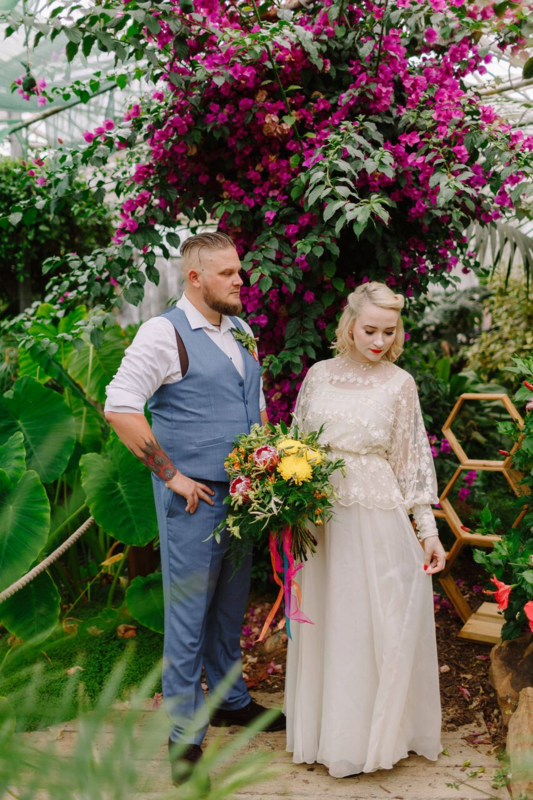 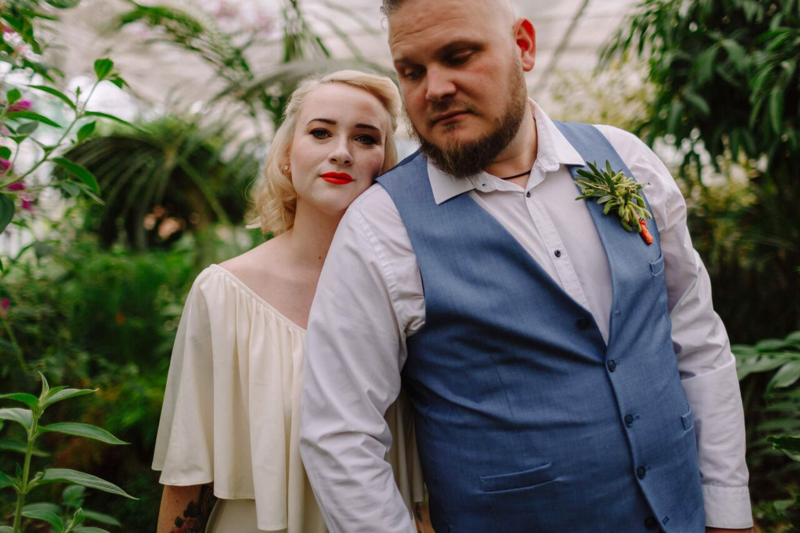 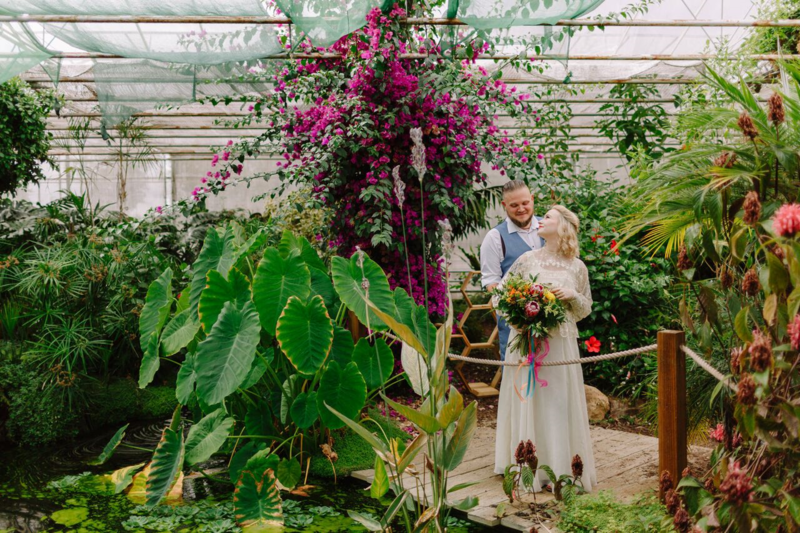 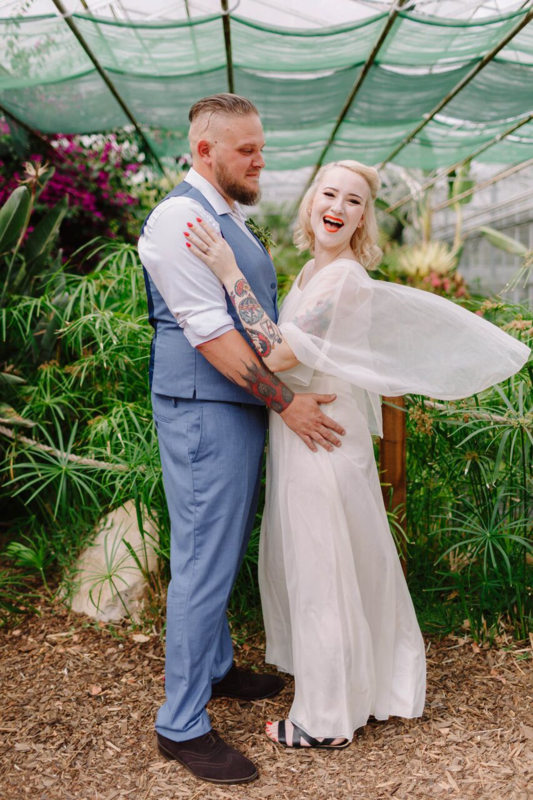 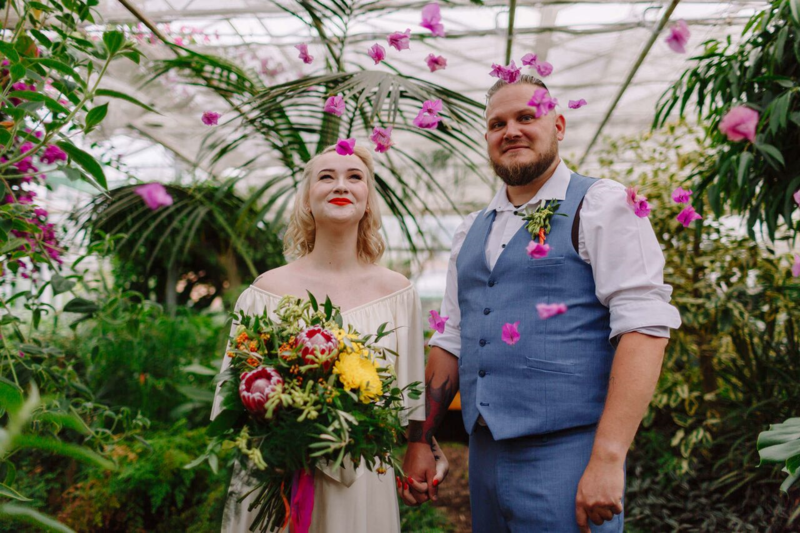 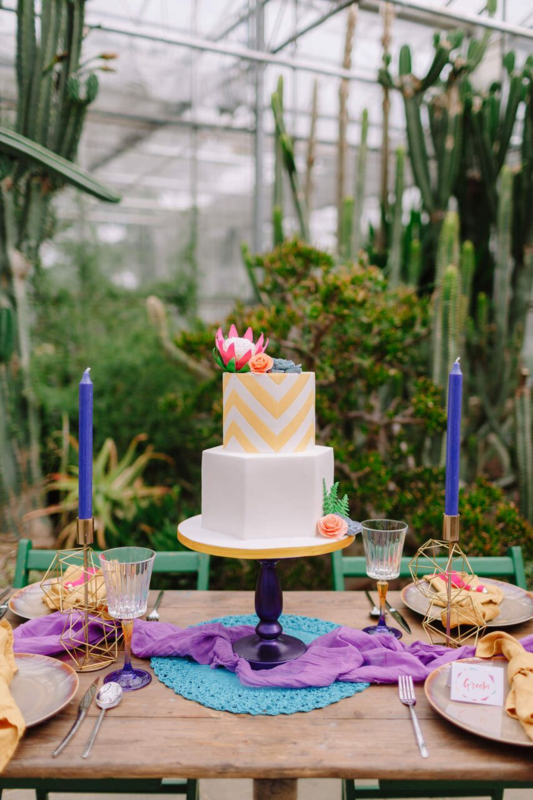 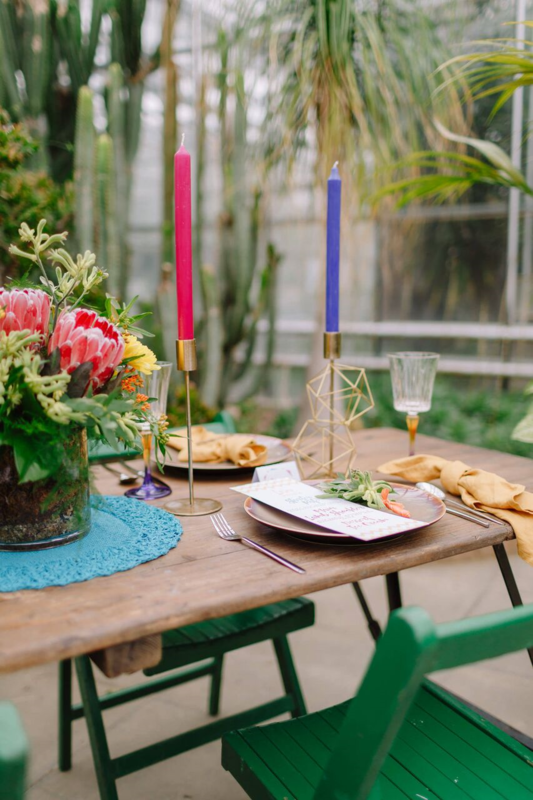 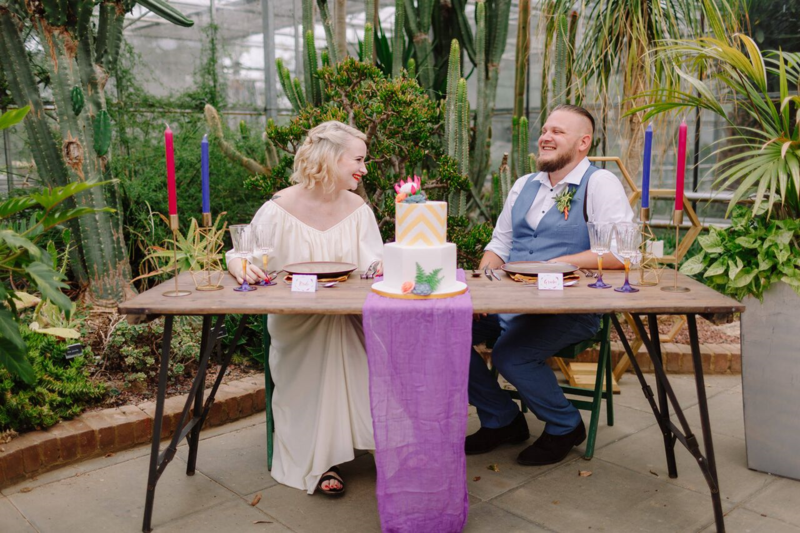 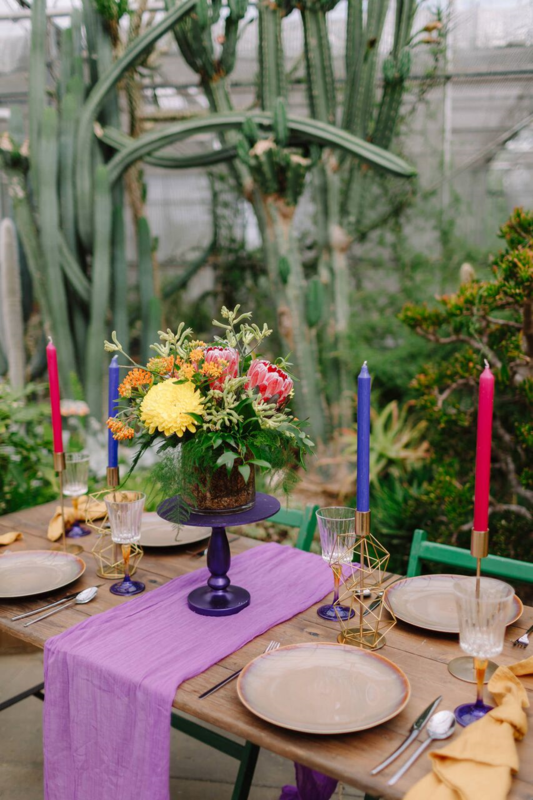 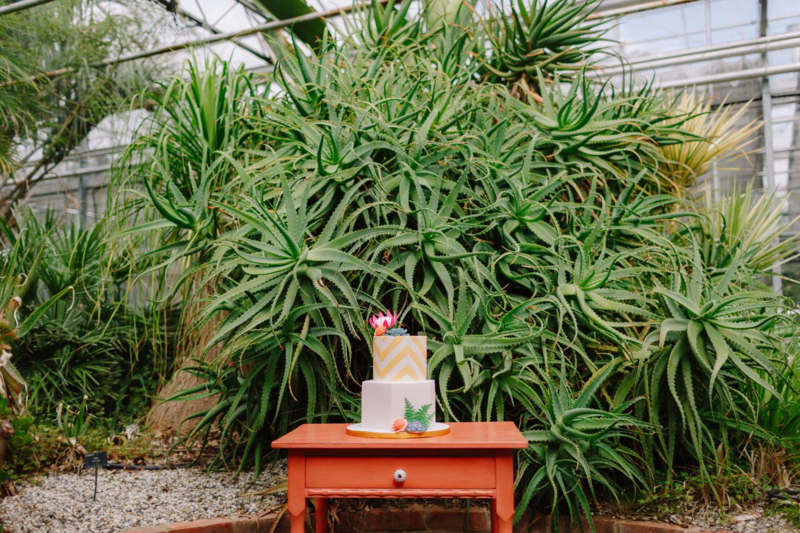 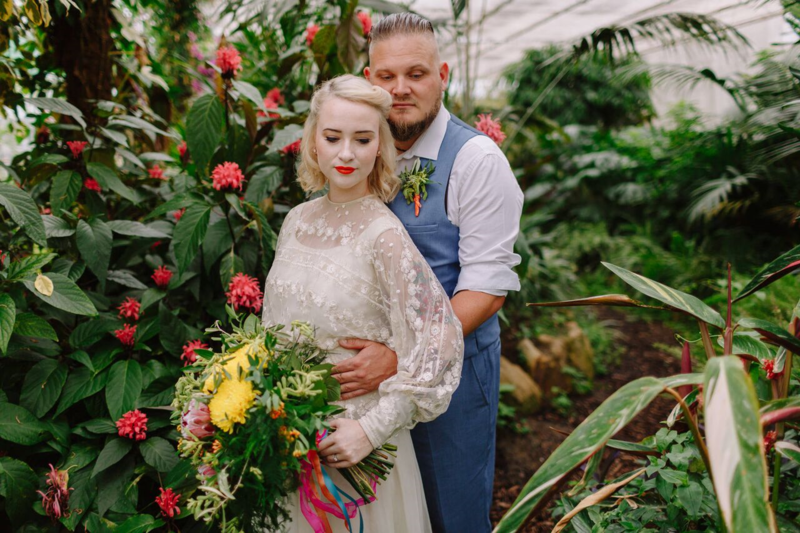 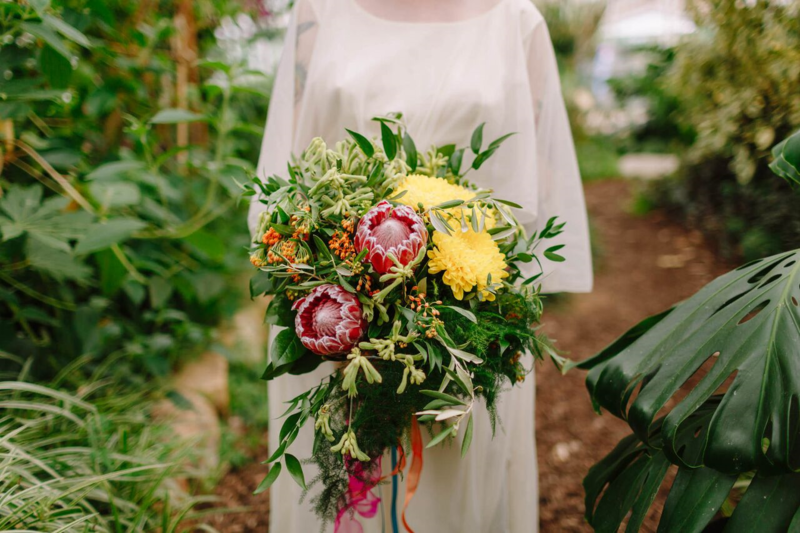 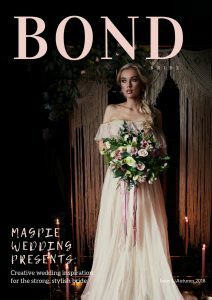 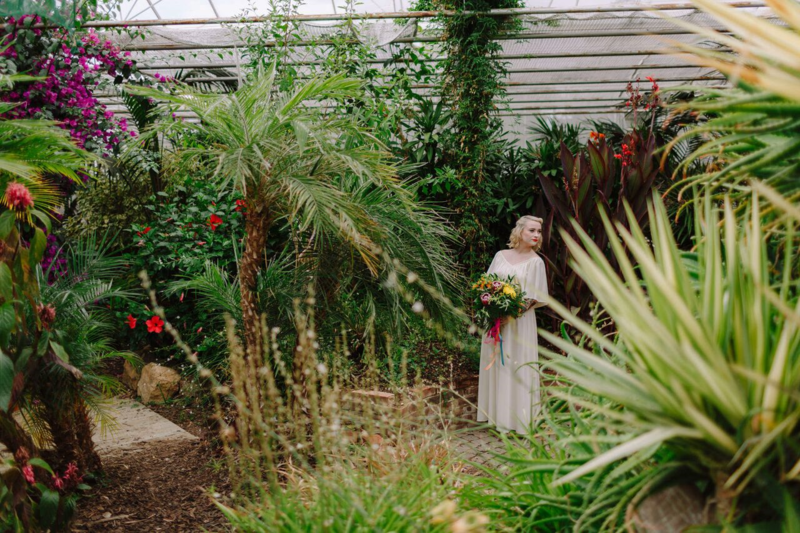 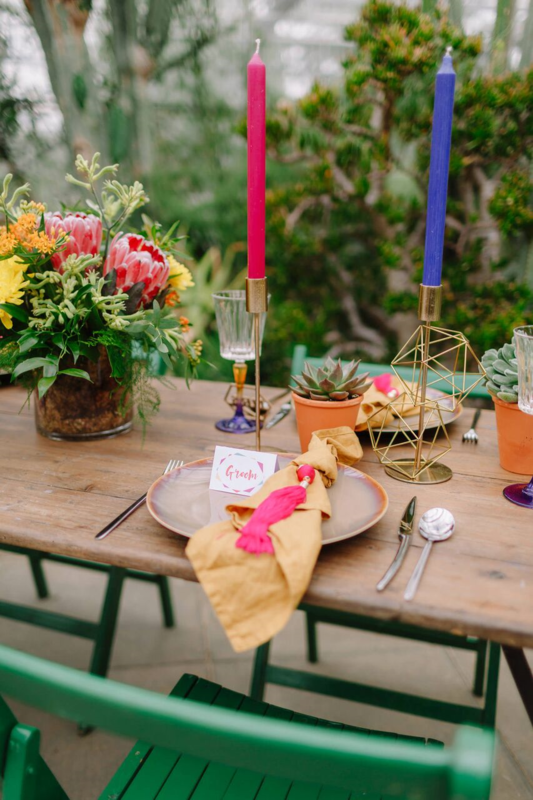 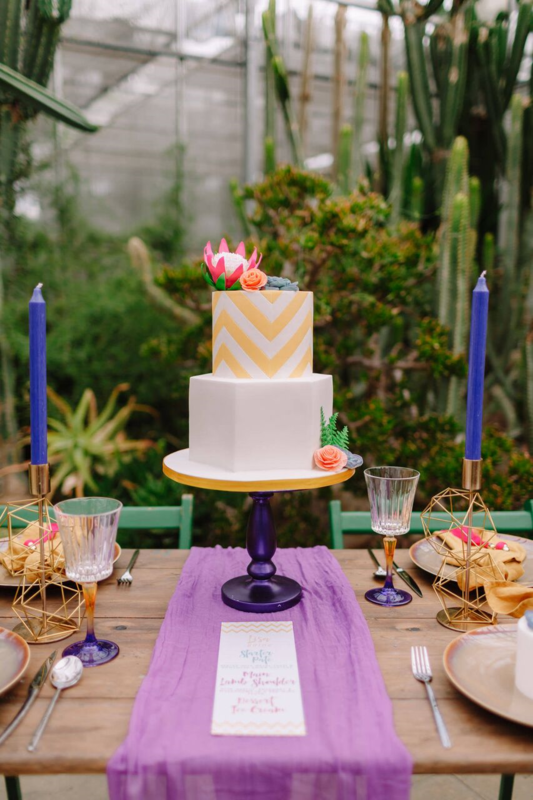 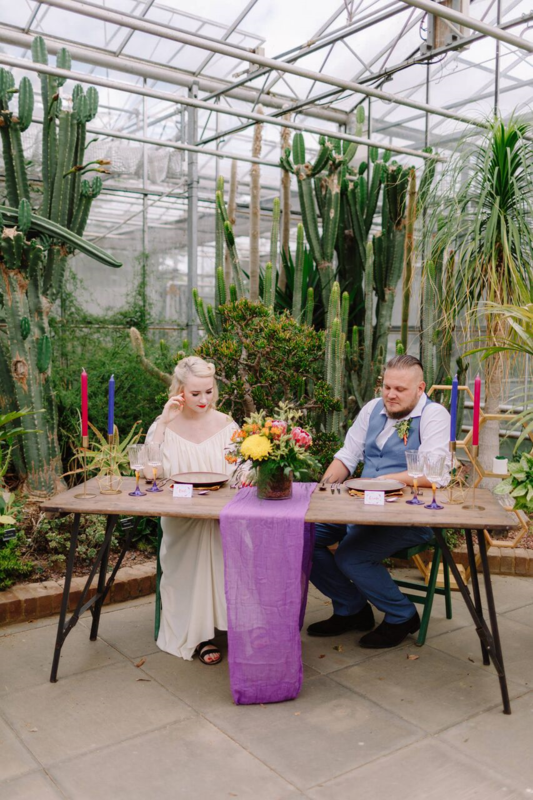 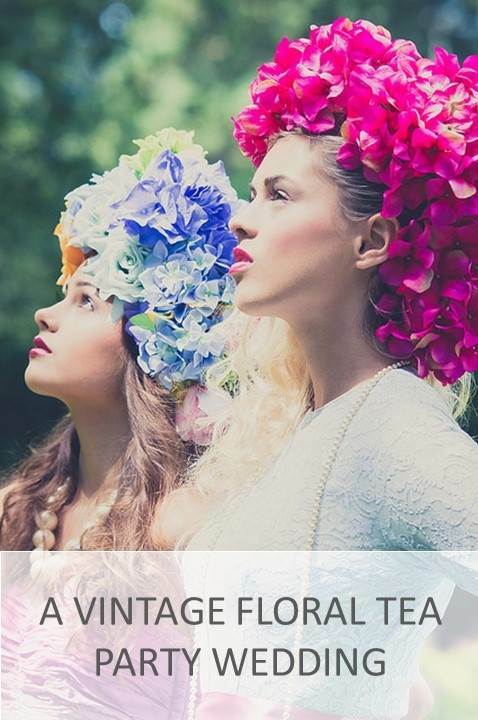 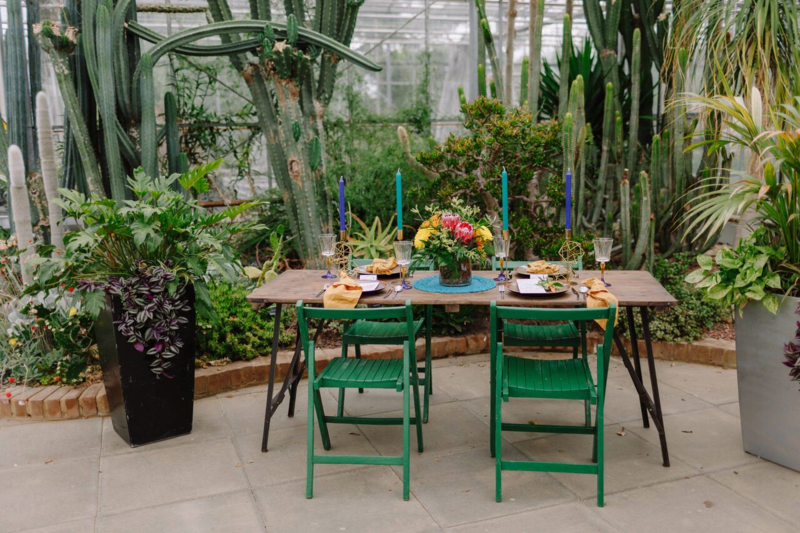 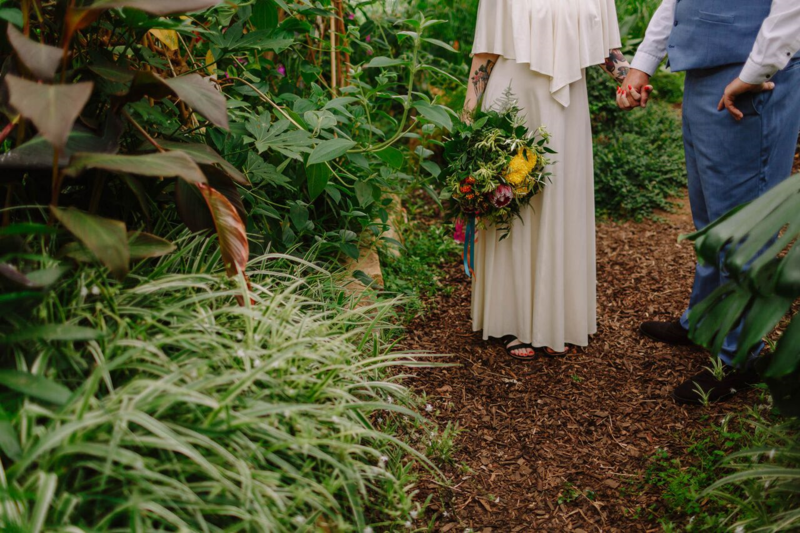 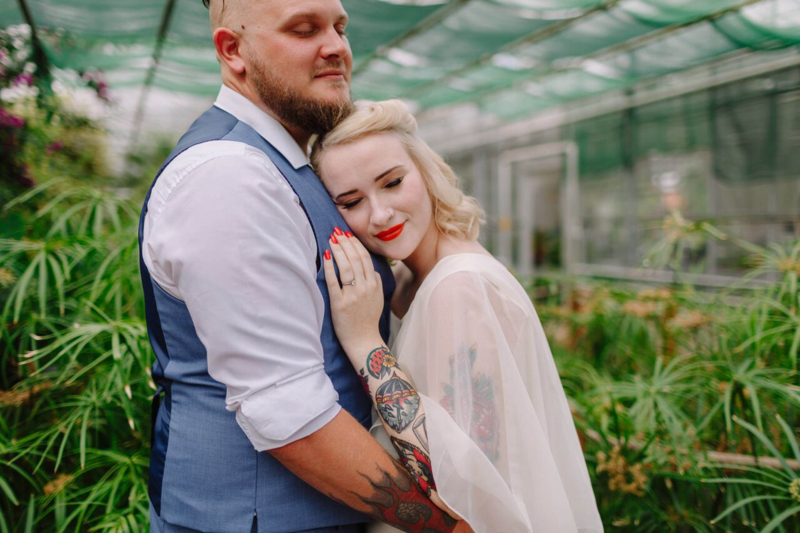 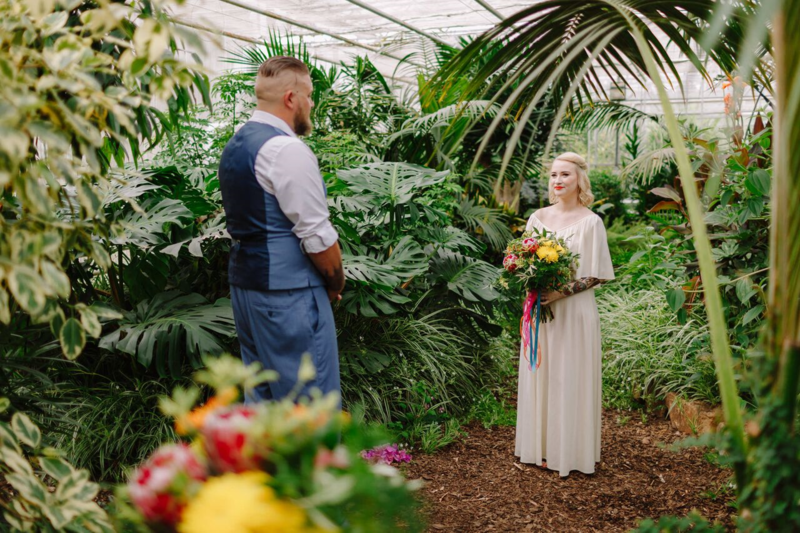 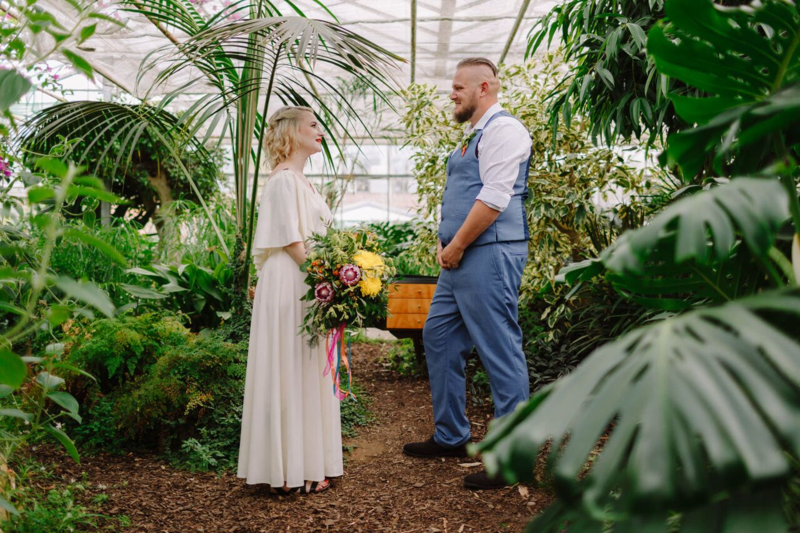 With lush green tropical vibes, bold and bright clashing colours and a 1970’s boho, modern vintage wedding dress. 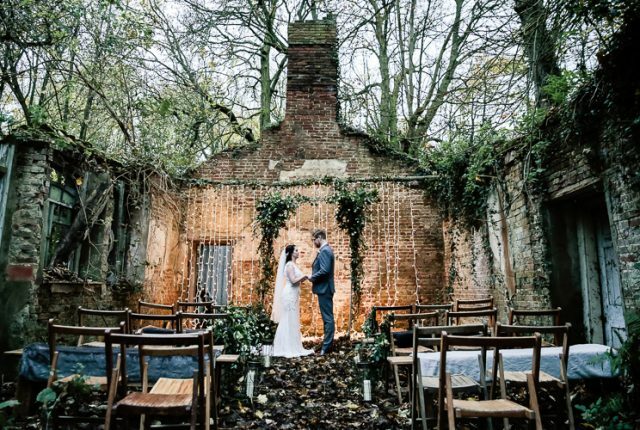 Set in an alternative venue it showcases a relaxed setting with well executed styling and tons of personality. 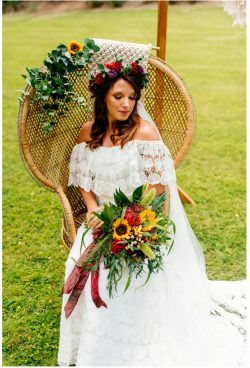 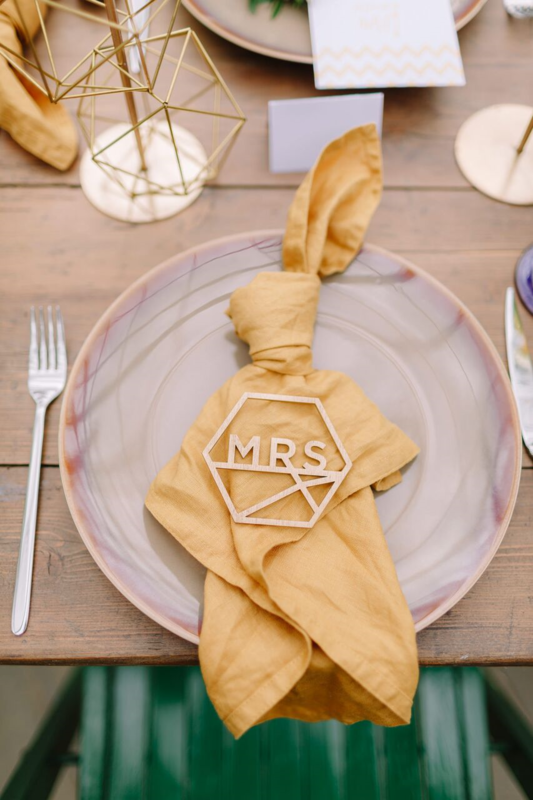 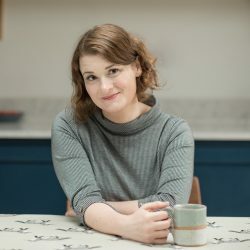 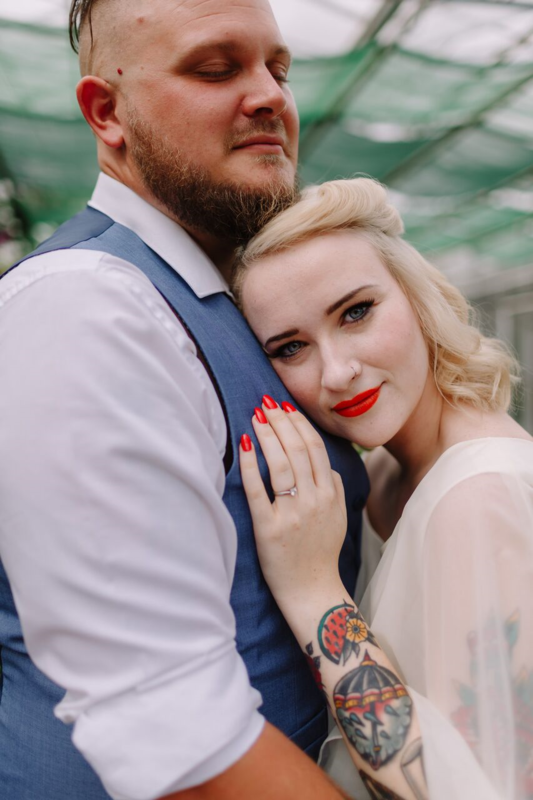 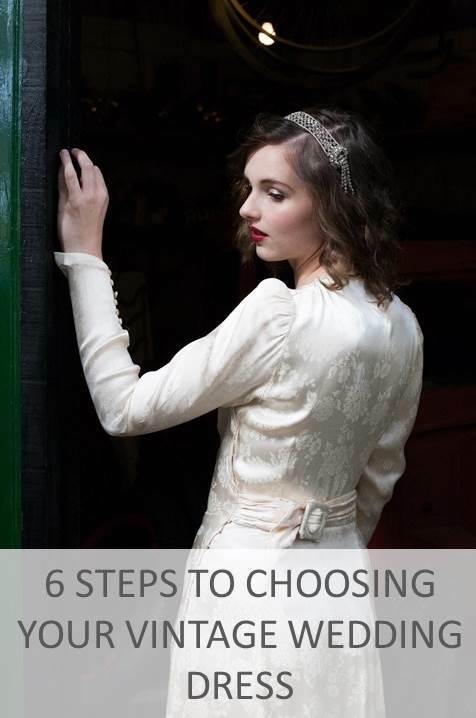 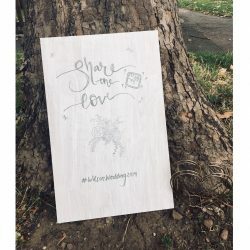 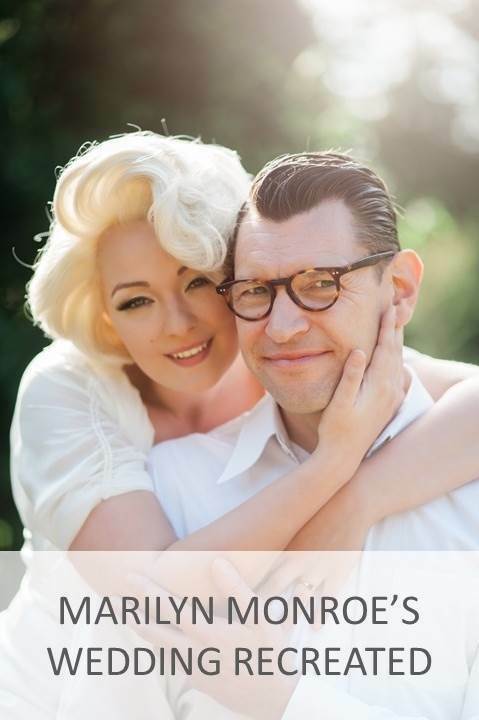 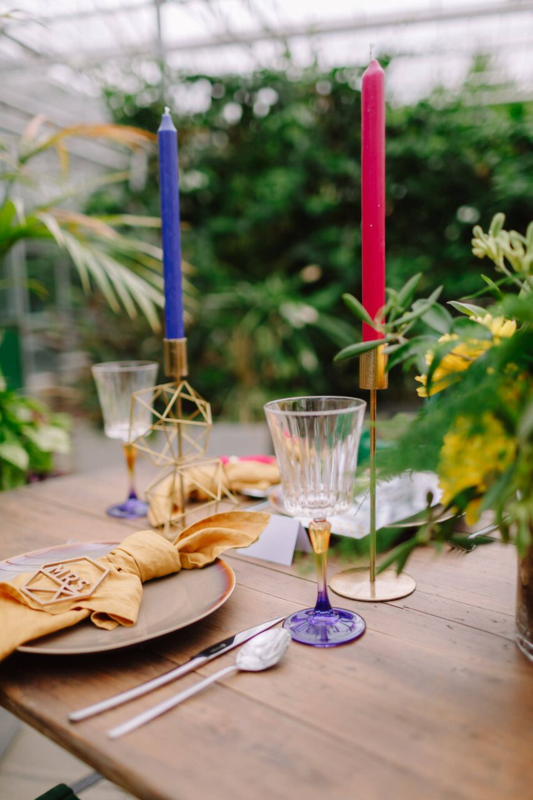 Co-ordinating the shoot was Sarah from Sarah Wayte Photography, here we catch up with her, and the rest of the team involved who tell us all about the creation of this modern vintage wedding shoot. 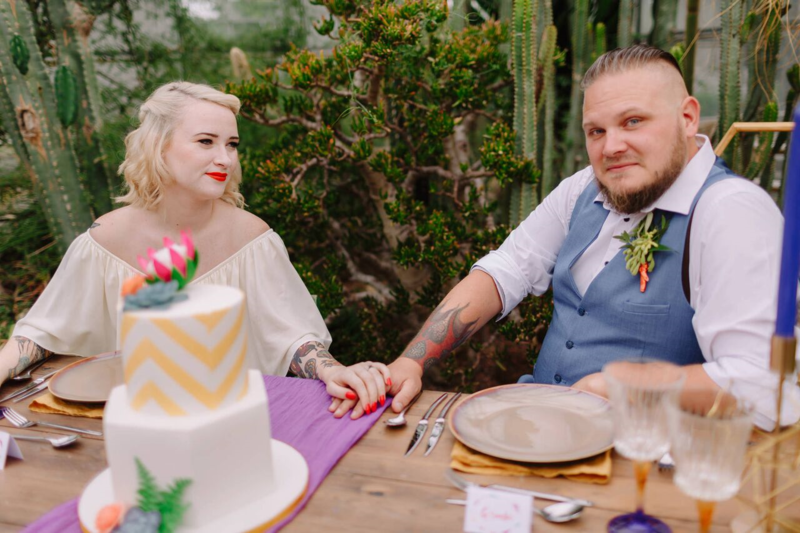 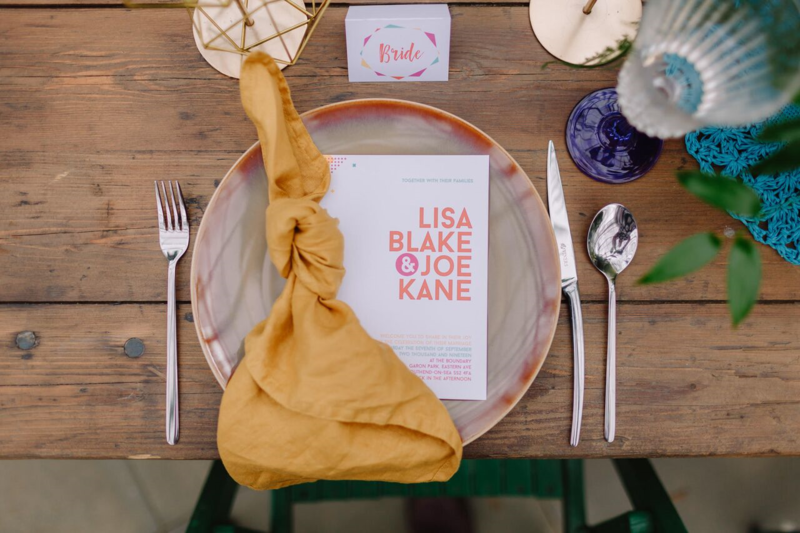 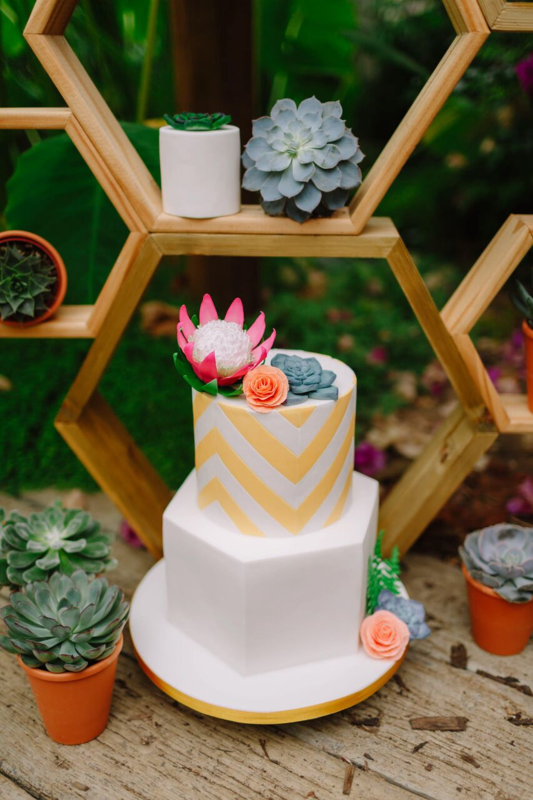 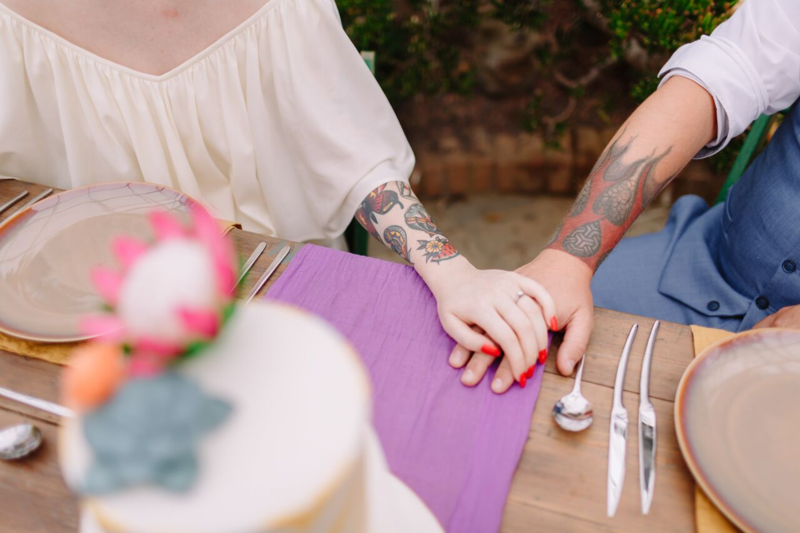 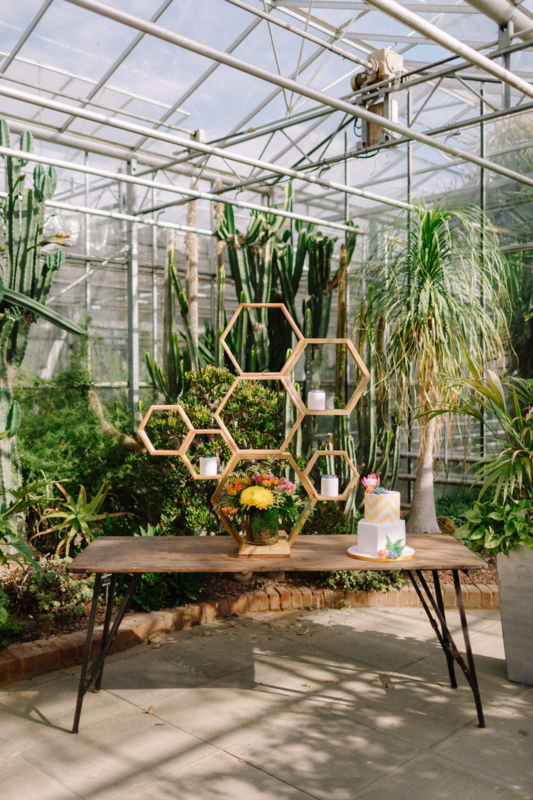 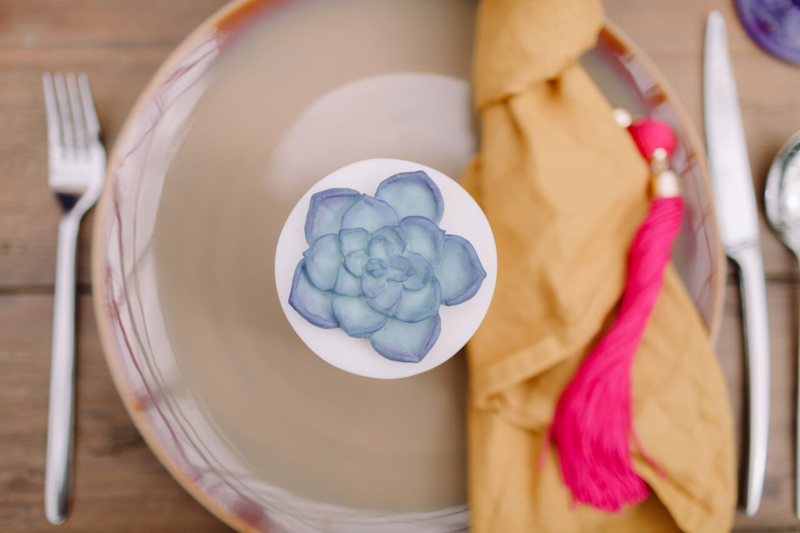 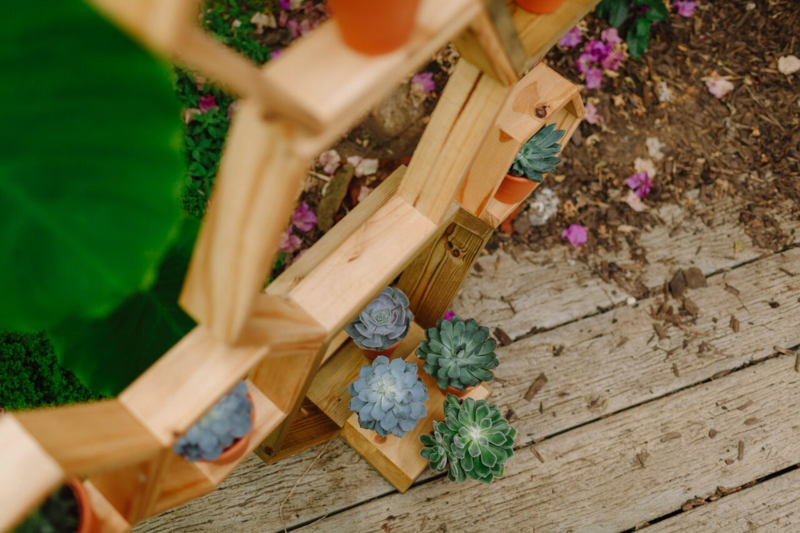 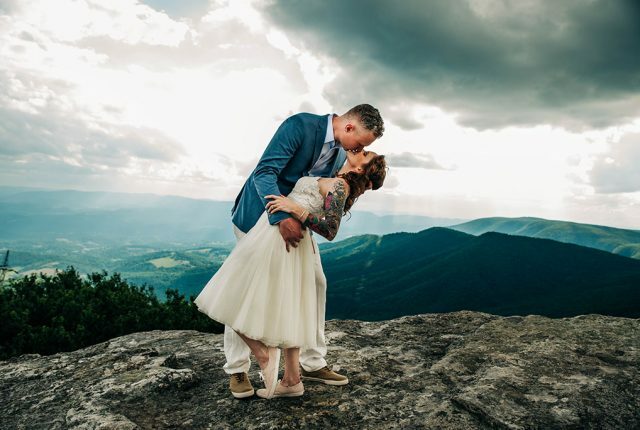 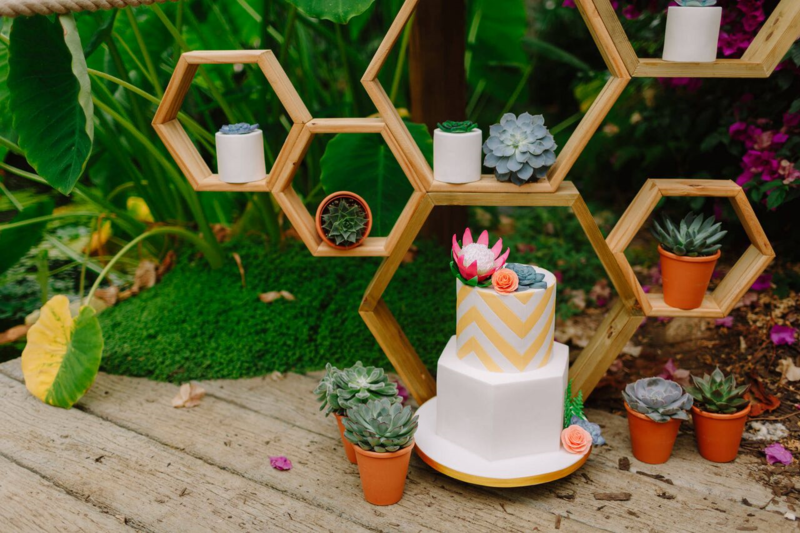 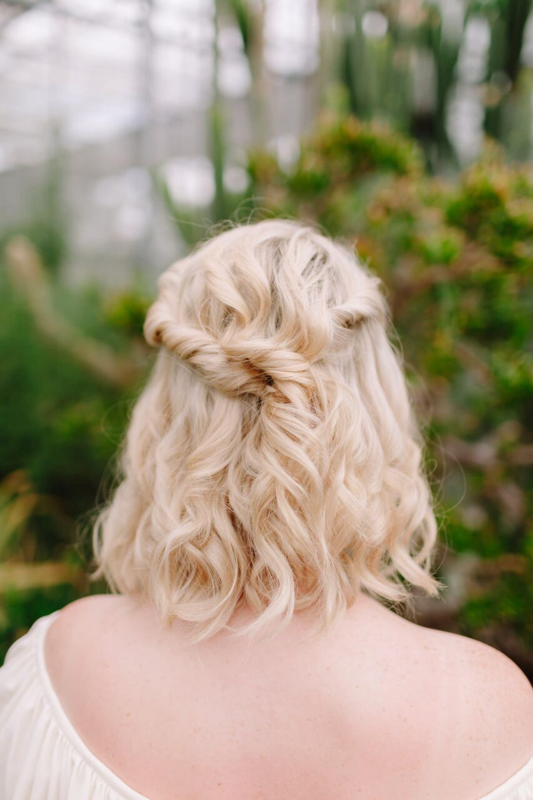 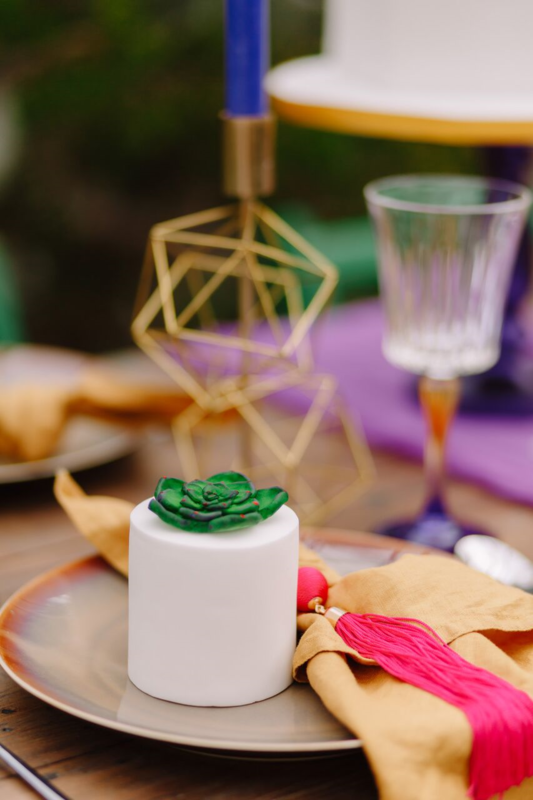 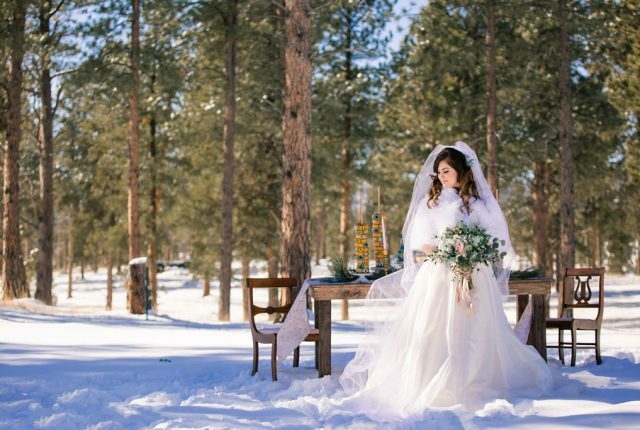 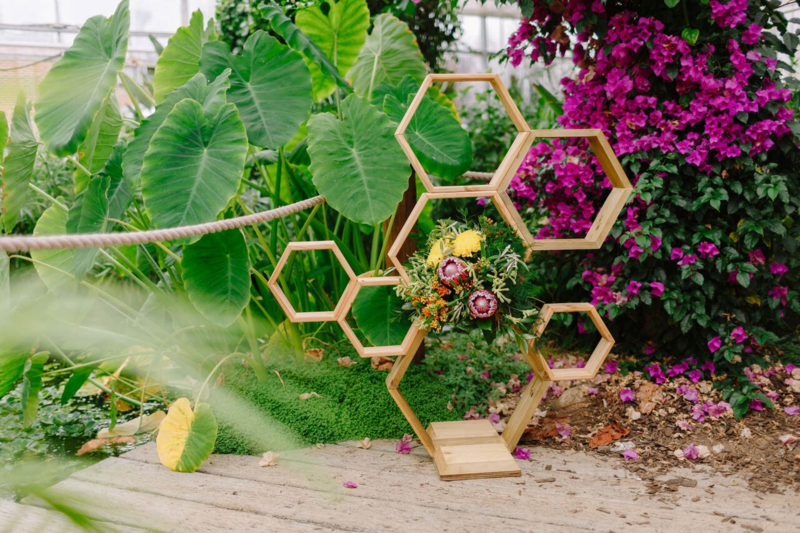 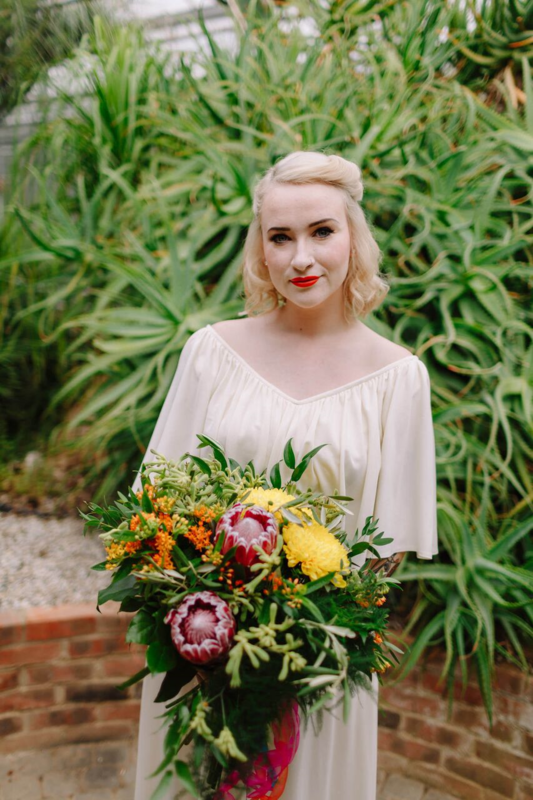 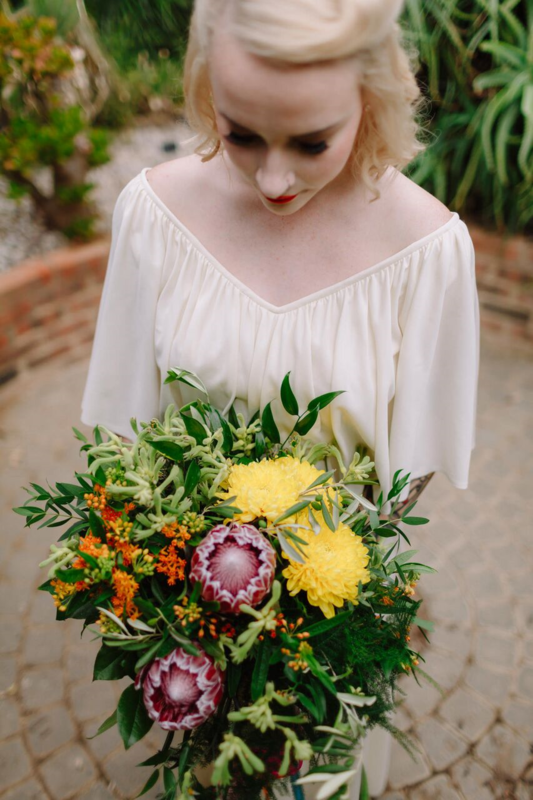 “When Sarah first approached me with her ideas, I knew traditional flowers just wouldn’t do. 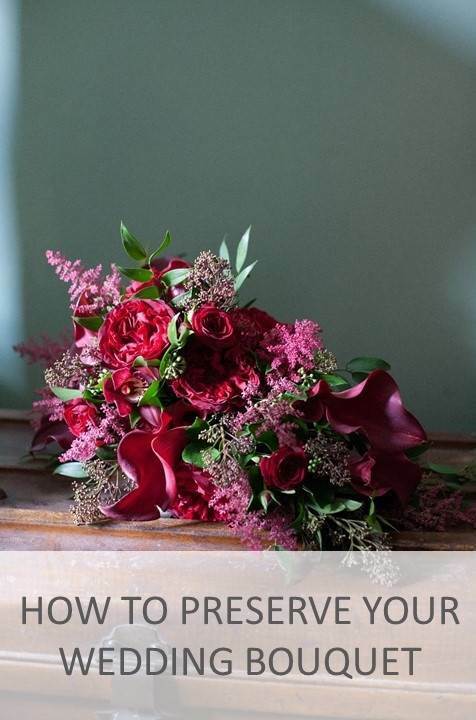 I was asked to produce a large unstructured bouquet with lots of texture and the mood board showed lots of bright, bold colours with hints of vintage styling. 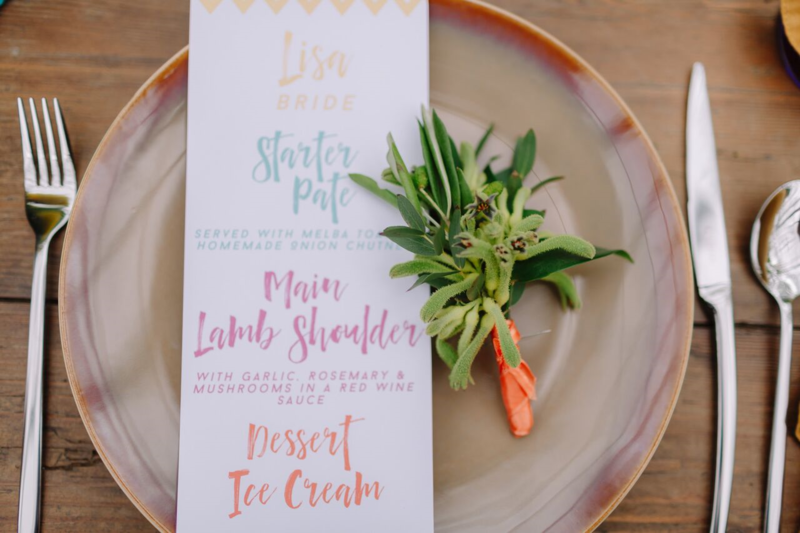 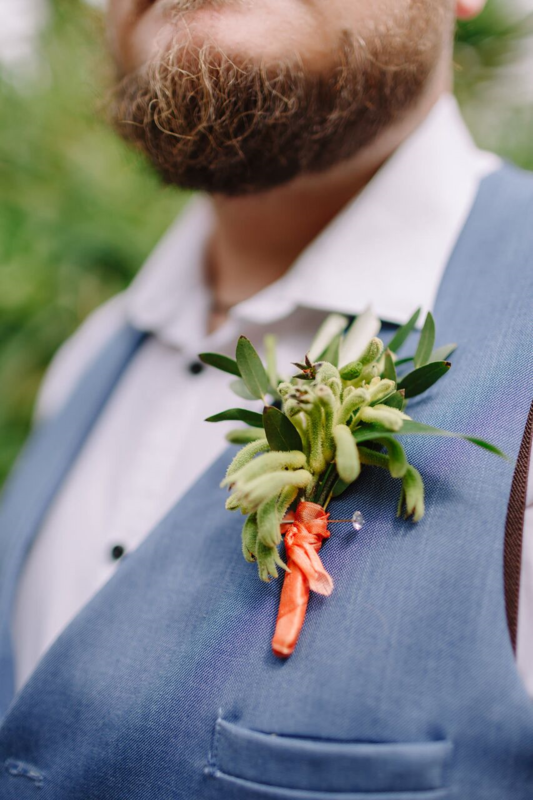 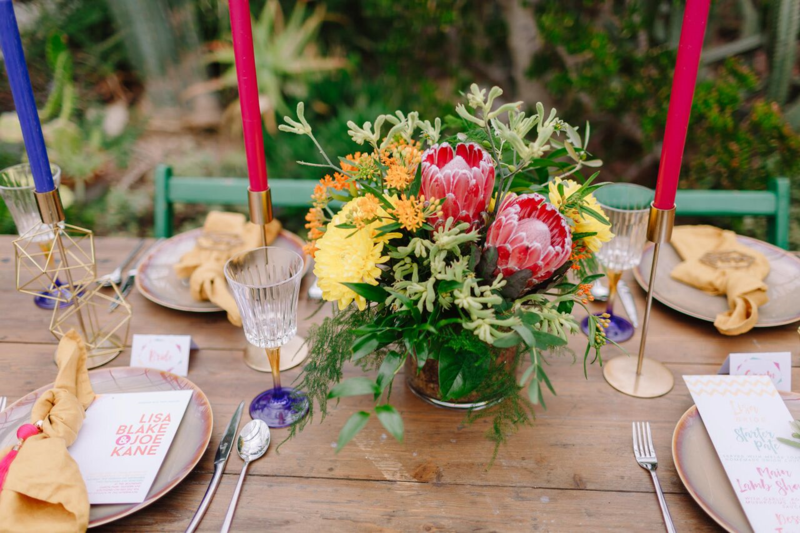 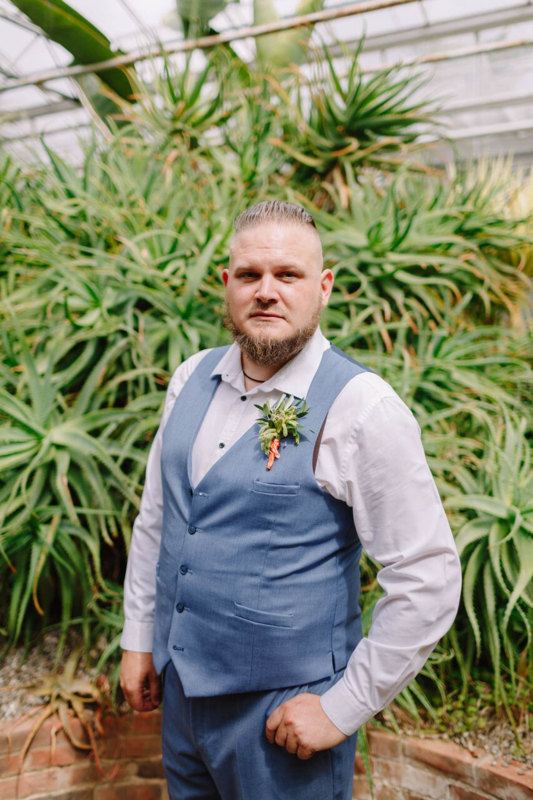 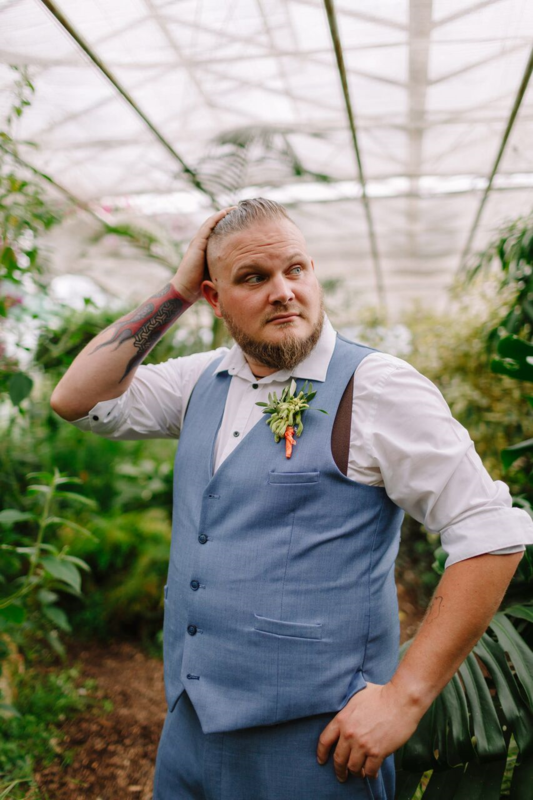 I created a bouquet of yellow Chrysanths, orange Asclepia, Kangaroo’s Paw and mixed foliage including Asparagus and Olive, with the Pink Lady Protea being the crowning centrepiece and giving both a colourful, bold look to the flowers as well as a modern twist on more traditional bouquets.